Pennywise is all the rage these days, and Factory Entertainment is giving us more of what we want. Up for preorder now, we have plush dolls of the Dancing Clown and his poor pal Georgie with his arm ripped off. That Gerogie is so sad looking. 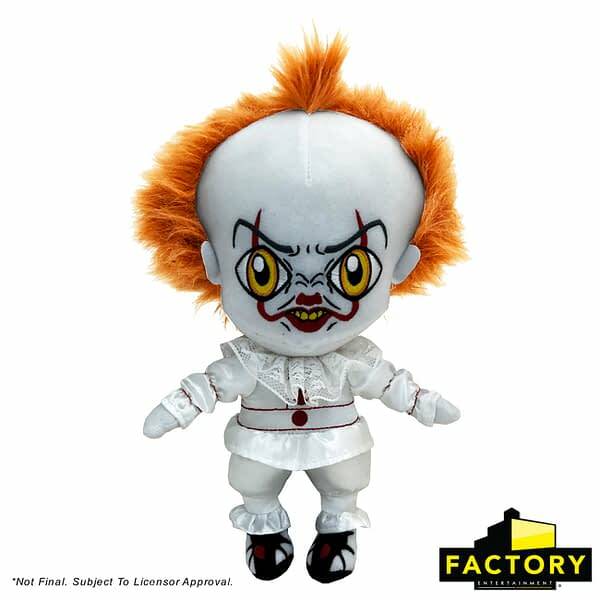 There is also a plush of the classic version of Pennywise and a diecast version of the S.S. Georgie that got him into the mess in the first place. 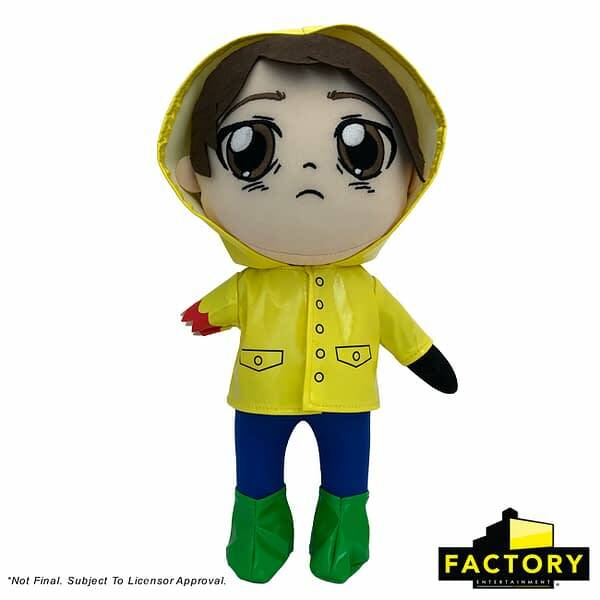 The plush dolls run $20 a piece, while the S.S. Georgie will cost you $10. All of them can be preordered right here now, and will be in stores this summer. 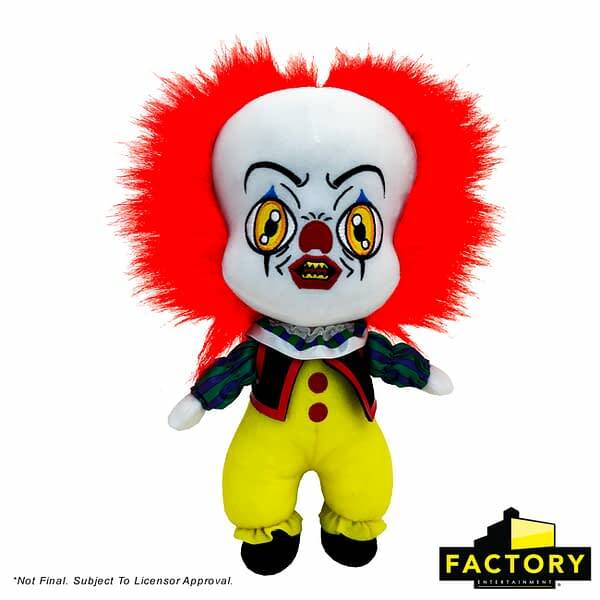 Now, You Can Float Too With Factory Entertainment’s Latest Line Of IT Collectibles! 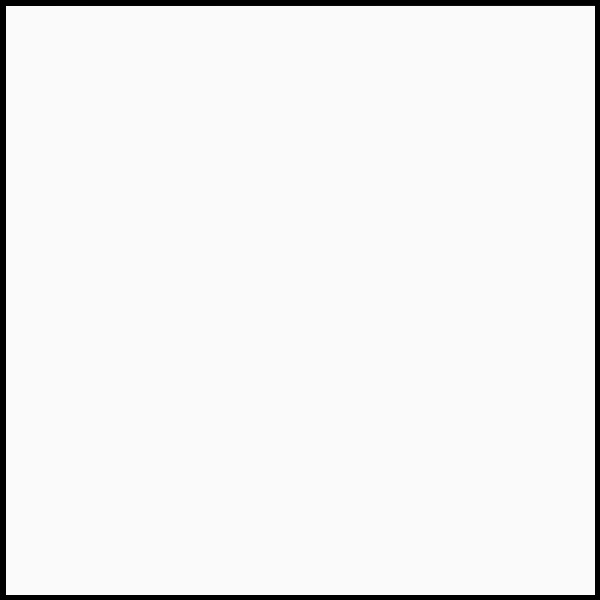 Factory Entertainment is thrilled to officially offer for pre-order new products from the runaway blockbuster motion picture, IT! Their initial offerings consist of 10 inch tall plush versions of Pennywise, Georgie (with his arm sadly ripped off), the Neibolt House Clown (look familiar? 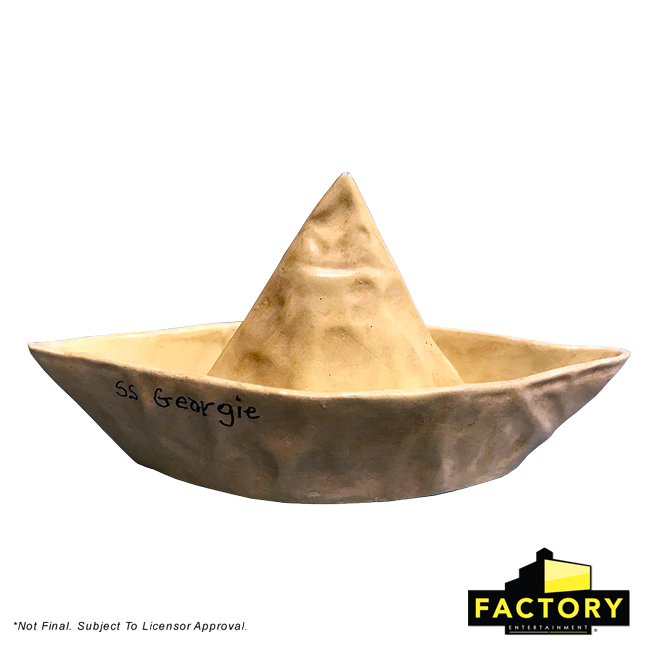 ), and a diecast version of Georgie’s boat, based on the paper boat from the film. While these TERROR-iffic collectibles are scheduled to hit retail shelves later this summer, they’re currently available to pre-order at Factory Entertainment’s website now, http://www.factoryent.com – They suggest placing your order as soon as possible before the in-demand clown and his friends dance off into the abyss for another 20 years! Castle Talk: Midnighters Asks, "Can This Marriage Survive Keeping a Dead Guy in the Garage?"